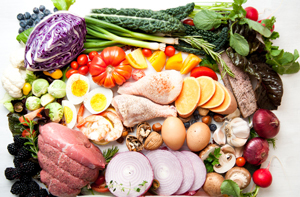 Low Carb Diets and Low Carbohydrates Recipes have swept the nation over the years and many people have had success with weight loss. 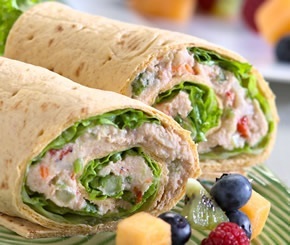 Low carb diets can be very tasty, provide a satisfying nutritious lifestyle, and eating low carb meals can result in gradual weight loss (just ask my husband!). But remember, the body needs a certain amount of carbohydrates to function properly, and too few carbs could cause fatigue, muscle cramps, and poor mental function (just ask my husband!) ;-). "Low-carb" doesn't have to mean "no-carb". How Do I Know? Other than information gained from hundreds of restaurant guests, check my source and decide for yourself. 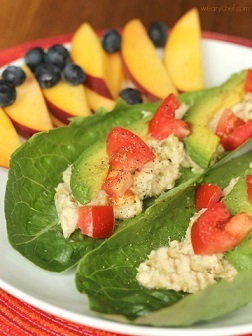 Low Carbohydrates Recipes For Weight Loss Is Only A Partial Solution. To maintain your body's health and gradually accomplish weight loss, other things besides the specific food you eat play significant roles. Ask my husband! Reasonable portions (sorry) - but many of us consume more food (more calories) than we can burn on a daily basis. Eating more food than what your body can burn will cause weight gain. Your body will store excess calories as fat. Many of us simply eat too much. One thing is certain - all of us MUST have some carbohydrates. Be sure to eat moderate amounts of the right type of carbs to keep your body fueled properly. The point is, how or where we get those carbs is really important. It is healthiest to obtain carbohydrates, vitamins, and other nutrients in as natural a form as possible -- for example, from fruit instead of refined table sugar. The body uses carbohydrates for short-term energy and is especially important for the brain and the nervous system. 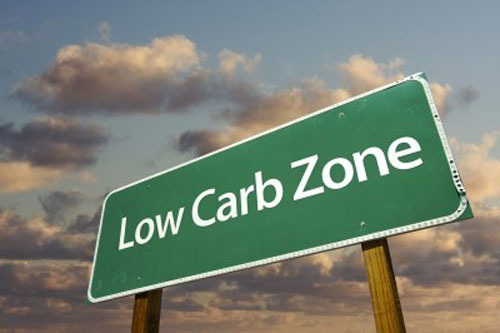 Because vegetables and fruits have carbohydrates, some people believe that they are not allowed on low carb diets. That's WRONG! Vegetables and fruits ARE the carbs eaten when following a low carb way of eating. There are only a few vegetables and fruits low carbers must avoid too much of (potatoes is a prime example). The “No White Foods” concept of a low carb diet simply means eliminating or reducing refined sugars, white flour, white rice, and potatoes. Fiber is actually an important part of a properly constructed low carb diet. Lots of low carb foods are high in fiber. The toughest part about starting a low carb diet is figuring out what you can eat, or what you shouldn't eat too much of. Well, that’s one reason Real Restaurant Recipes is here! 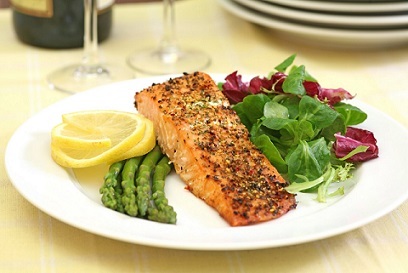 Does the restaurant serve low carb meals made from Low Carbohydrates Recipes? In short, yes. The restaurant has always accommodated the customers (guests) when we hear the request for "double vegetables - no potatoes." 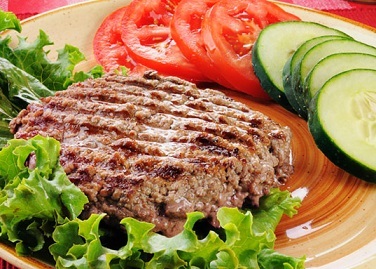 But we also feature specific low carb recipes quite often. The reason is clear: more people are becoming concerned with nutrition and weight loss and many of these people believe eating low carb meals will help. Having been in the food business for many years and having fed myself and my own family and measured those results, and with a great deal of reading, I believe reducing (NOT ELIMINATING) carbohydrates may be an appropriate partial solution for gradual weight loss for some people while still maintaining a healthy body and mind. How many carbohydrates should you eliminate? Darn! No simple answer. It may be different for every individual. The carbohydrate level should be adjusted to the individual. Need some help doing it? We all do! Here’s a helpful, free website that I really like: ﻿lasting-weight-loss.com﻿ knows all about low carb diets and shows you how to tailor them to work for you. Additionally, they found that treating the underlying causes of weight gain, results in permanent weight loss. 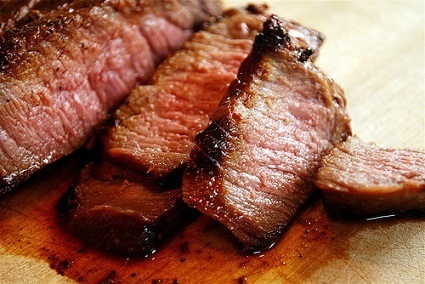 Any meat will be a high protein and low carb food. In addition to beef, chicken, turkey, and pork, you might want to try some duck, goose, venison, elk and lamb for variety. Naturally raised meat is best. Coldwater fish provide protein and they are a rich source of omega-3 fatty acids. (One danger, however, is that some fish can contain unhealthy levels of heavy metals such as mercury.) Wild Alaska salmon, halibut, cod, and trout, lobster, crab, oysters and shrimp are what you should eat (low carb diet or otherwise). Nuts are a good source of protein. Some are better than others, though, for those on a low carb diet and using low carbohydrates recipes. Macadamia nuts and walnuts are among the best for low carb eating (walnuts are a good source of omega-3 fatty acids). Stay away from peanuts (actually a legume). Beans are a decent source of protein but most beans contain a lot of carbohydrates, and should be used in moderation on a low carb diet. You also want to make sure you cook beans thoroughly, as our digestive tracks are not adapted to breaking down some of the beans' proteins. Cooking the beans provides the help your body needs for digestion. Cheese is a great source of protein for low carb dieters. Cheese has some carbohydrates, and a lot of fat. In addition to the standard cheddar, mozzarella, Parmesan, and Swiss, try any of the specialty cheeses sold in most grocery stores and online. Eggs are the perfect high protein food! 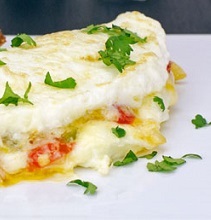 Eggs are a great source of protein, and even some omega-3 fatty acids. It is best to get eggs from range-fed birds if they are available. Preparation time: 10 minutes. Serves 4-6 depending on portion desired. This traditional Mexican main dish can be filled with a variety of ingredients, including meat, cheese, beans, potatoes, vegetables, seafood or combinations. Preparation time: 40 minutes for Enchilada sauce. Makes 10 enchiladas. There are many variations of this Enchilada Sauce Recipe, but this one is a favorite restaurant sauce recipe. Preparation time: 30 minutes. Serves 6-8. Enjoy your Low Carbohydrates Recipes and the company of those you share them with! Many of my friends and relatives are on low carbohydrates recipes! More recipes coming soon! With a daily walk or jog and watching your portions - you'll gradually achieve weight loss and feel great as well!